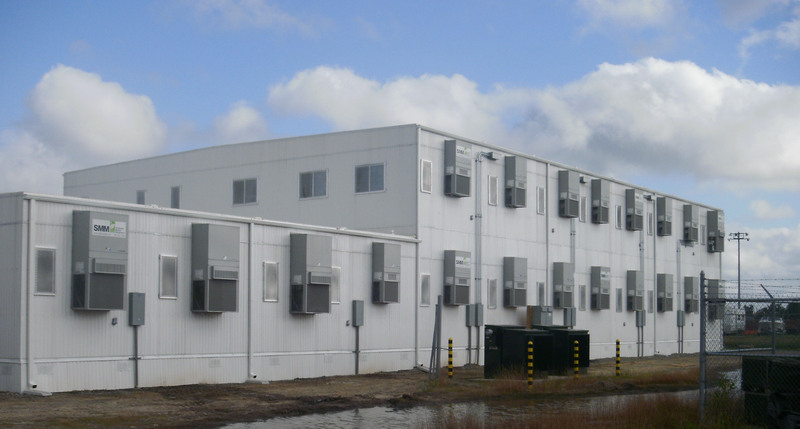 SMM Builds Modular SCIF for the Naval Facilities Engineering Command | Sustainable Modular Management Inc.
SMM provided a 2-story, 15,000-square-foot permanent modular building constructed of steel framing. 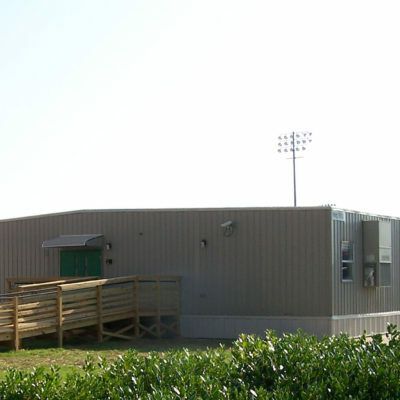 The building included a classroom, conference rooms, office space, business centers, a computer lab, break areas, storage rooms, a locker room and medical examination room with the appropriate finishes. 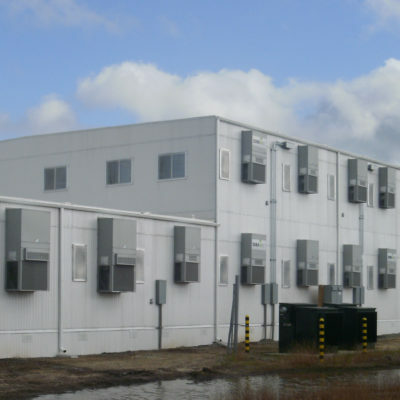 SMM built the foundations and delivered and installed the modular building sections with a crane. 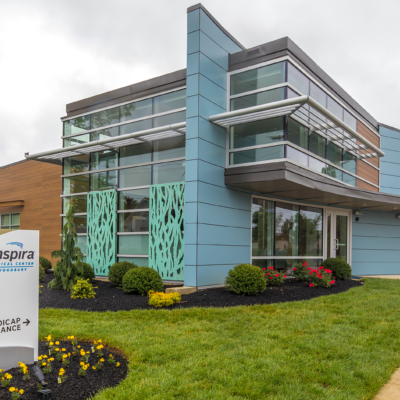 The installation included steel stairwells, canopies, decks, stairs, ramps and all of the utility connections. SMM was also responsible for installing a fire alarm with mass notification and fire sprinklers. Lastly, SMM provided furnishings including cubicles, office furniture, conference room tables, classroom tables, bookcases, and chairs.